Q. Would you buy a house without a bath? A. No I always wash before viewing houses with an estate agent! Well that’s not quite what the question means….Have you noticed how more properties are moving for showers and en-suites in favor of a bath. Is this really a move in the right direction. Have you viewed a house without a bath on your last viewing session? Even recently a friend of mine decided that he would remove his bath to make way for an extra bedroom and survive on a walk-in shower. Drastic or genius? I found myself asking the same question, should i reduce my bathroom into a smaller but practical shower to enable one of the walls to make way for an en-suite on the master bedroom? For me it would make sense as I rarely bath and always shower, but would it effect my house price and its selling appeal? A house without a bath - Good idea? A recent survey claimed 11 per cent of people said they had removed their family bath in the last few years. Also the Telegraph earlier this week reported on how times has change. 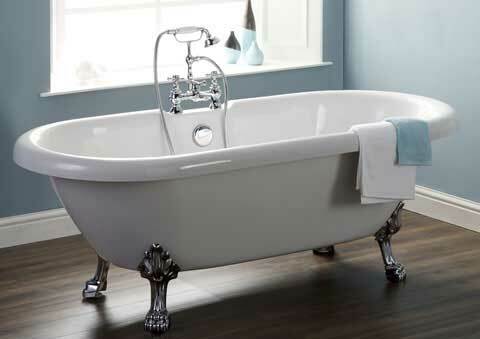 As a bath was once considered the true sign of being middle class and the height of fashion, with fewer than half of all households in the 1951 census having one. But they now being left unused, or even ripped out by families keen to build large walk-in showers. The study of 3,000 households found that the average number of baths taken by each adult had fallen from nine times a month a decade ago, to just five times this year. Additionally with the increased charges on water and water meters, people are far more concerned about the amount of water used in the house. Bricks in toilet cisterns is another trend catching on in recent years. It appears that the majority of people today prefer a shower to a bath. But there are still times in life when a good soak in a radox bath is needed. Although showers are practical and popular for day to day living, the bath provides a place to relax and unwind in a busy world, and a place to have a radox bubble bath with a bright yellow duck. Baths still have a place, therefore I decided to keep my bath, just in case. What about toy though? Does a house without a bath make sense? Yes – I dislike having baths its showers all the way. This is mainly after watching a “Dilbert Comic” TV Show where he describes “soaking in his own filth”. From then on, it was showers for me. I’m trying to choose between a good-sized shower or a tiny 1200mm bath with a shower in it, for the family bathroom which is very small. There are 2 other shower-only ensuites in the house. There are clearly some people who must have a bath and some who only ever shower. But what are the proportions? My wife and I never bath. The previous owners installed a huge bath in another room then used it so little the taps were seized! I am going to lose and gain some buyers whichever way I jump, I just wish I knew how many!! If the choice is a cramped bathroom with a bath you never use, or a gorgeous shower room, ditch the tub. It certainly wouldn’t put me off. As more people get water meters there’ll be ever less excuse to waste that much water anyway.